In nonprofit fundraising, an effective major gifts program provides a robust return on investment, funding critical, mission-driven work. But how do you create a high-performance environment for major gifts? Weaving together evidence-based strategies and compelling case studies, this session will lay out a path to major gifts success. Our presenters will reference data from Giving USA and Campbell & Company research to illuminate trends and discuss how development leaders can leverage them for greater impact. Topics will include mid-level donors as a bridge between the annual fund and major gifts, major gift team goals and retention, and the importance of a strong major gift culture organization-wide. Cassie Carter brings 30 years of experience in the nonprofit and higher education sectors to her work at Campbell & Company. She focuses on developing a shared understanding with clients of their opportunities and strengths and how those can be leveraged to achieve a high level of long-term fundraising success. Prior to joining Campbell & Company, she was Associate Vice President for Development and Director of Campaigns at Hawaii Pacific University, Associate Vice President for Development Operations and Director of Advancement for the College of Science and Mathematics at Cal Poly, and Executive Director of the Montana Outdoor Science School. Currently she is vice chair for the Pierce College Foundation and serves as a board member for the Community Foundation of the Valleys. Cassie holds a doctoral degree in Teaching and Learning with an emphasis on science education and public administration from the University of Southern California, a bachelor’s degree in biology from California State University-Northridge, and an associate of arts from Los Angeles Pierce College. Dan Nevez is a Senior Consultant, Executive Search at Campbell & Company. He has over 25 years of professional experience in higher education, cultural institutions, and nonprofit executive search. Dan has advised national and regional nonprofit organizations on the recruitment of a broad range of executive leadership, including senior philanthropy searches. Prior to joining Campbell & Company, Dan served as a principal at a national executive search firm working with nonprofit and public sector clients. Before joining executive search, Dan worked as a researcher and curator at the Oriental Institute, an internationally recognized research center and museum at the University of Chicago. He has given lectures at major research conferences and published several articles on socio-economic history. Dan received his master’s and completed his doctoral studies at the University of Chicago. As a search leader, he is a frequent speaker on nonprofit leadership, succession planning, recruitment and retention, compensation, and career management. 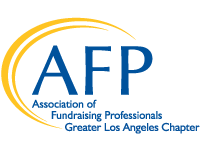 Besides AFP, he is also an active participant and speaker in the Association for Healthcare Philanthropy, CASE, and the Network of Nonprofit Search Consultants where he served as past chair of the Effective Practices Committee and currently co-chair of the Membership Committee.